King Arthur of Camelot and the Knights of the Round Table are enduring romantic figures. A national hero for the Bretons, the Welsh and the English alike Arthur is a potent figure for many. This quest leads to a radical new knowledge of the ancient myth. Historian, storyteller and folklorist Stuart McHardy believes he has uncovered the origins of this inspirational figure, the true Arthur. He incorporates knowledge of folklore and placename studies with an archaeological understanding of the 6th century. 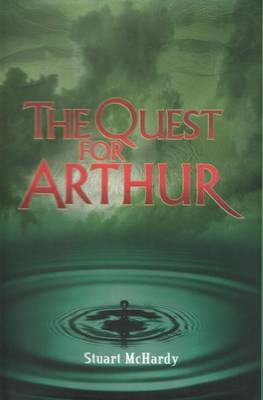 Combining knowledge of the earliest records and histories of Arthur with an awareness of the importance of oral traditions, this quest leads to the discovery that the enigmatic origins of Arthur lie not in Brittany or England or Wales. Instead they lie in that magic land the ancient Welsh called Y Gogledd, the North; the North of Britain which we now call - Scotland.